‘Much of the writing process of the PhD on Quin was spent agonising about how to manage the biography—critical distinction/tension/complement. I toyed with moving back-and-forth between short sections of the two, referring to ‘Quin’ when I was in literary critical mode and ‘Ann’ to indicate passages of life-writing. But this really didn’t – and I’m sure you can see why – work: too clunky, too messy, too simplistic. In the end, and much against my own instincts and interests (driven, I think, by my sense, whether misguided or not, of what my PhD ‘ought’ to be), the thesis was largely made up of long and complex literary critical essays with short sections of life-writing in between, entitled ‘Illuminations’. These were – you guessed it – intended to ‘illuminate’ aspects of her work. I really didn’t want the life-writing passages to be reductive, to seem to offer the answer or meaning, to limit the experience of reading her books. Looking back now I’m not sure how well they work, but I did and still do rather like the idea of placing life and work side-by-side, without offering them as explanation, and seeing what energy this creates. So, here I’m going to do just that; begin with a reflection on her second book, Three (1966), followed by a very short ‘illumination’. Three – what Quin called her ‘ménage’ book – is a collage, comprised of fragments of friends’ letters, comments, household receipts and bills. It begins with a married couple – Ruth and Leonard – discussing ‘her’ death. This death, ‘could’ they say ‘so easily have been an accident’. Throughout the book, Ruth and Leonard’s conversation is haunted by the desire to interpret this mysterious death of the book’s third protagonist, a character only ever referred to as ‘she’ or ‘S’. Each of their utterances follows so closely at the heels of another that things are unclear and need working out, creating a disorientated reading experience. The momentum of the speech (written as plain prose without speech marks) and run-on lines, together with the continual return to worrying at the same event, means that our reading must slow, circle and repeat for understanding to happen. 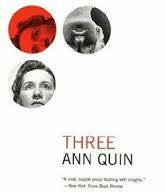 Whereas Berg – Quin’s first book -continually returns to a fantasised but never carried out parricide, in this book the death has always already happened: Three ‘begins’ when S is dead and ‘ends’ when she is approaching death. This focus on S establishes the pattern of the book as a whole. This third, absent character, emerges as a necessary part of the dynamic of the married two: together and alone, Leonard and Ruth are obsessed with S. She plays a crucial role in their marriage, and the mystery of her absence offers an opportunity for a uniting of the two that the third-ness of her presence never could. S is the figure that shadows, the mystery that designs, the narrative as a whole. To read the overlapping collage of different narrative forms of Three is to perform a kind of trespass: to read and transgress upon diaries, to ‘listen’ to tape recordings and watch home-movies. Confused reminiscence is mixed with intensely detailed experience; third-person narrative with journal entries and free ‘poetry’. The resulting combination of texts are literary experimentation which moves this book beyond Berg. In many ways here the plot itself is even simpler, but the energy of the writing is more consciously ‘experimental’. For example, S’s journal transcripts appear as words scattered across the page. These half-formed thoughts and feelings are conveyed impressionistically, through unusual or repeated word pattern and image, or by focus on the sound and rhythm in and between words. The writing seems to have a free associative, pre-articulate momentum, sensory impressions are recorded without communicating a recognisably inner self. According to the critic Robert Nye Three is Quin writing at her best. Here, Nye said, “Quin showed herself to be admirably alive to the elusiveness of what happens between people, to what is lost in conversation, and to the possibilities of the English language for suggesting these little communicative lacunae. Her best writing hoarded words as if they were pebbles washed smooth by huge seas of experience”. Although it is a book haunted by a drowning, foreshadowing her own, final, journey into the sea, Quin began her second book, Three, more than ten years earlier, while living in a turret room at Lansdowne Road and working as a secretary for the painter, Carel Weight, at the Royal College of Art. When life in London became too intense, she caught the train to Axminster, in retreat to her friends and fellow writers Carol and Alan Burns’ cottage in Dorset, just inland from the coast at Charmouth. The cottage had no running water or electricity, but water was drawn from a well, there were oil lamps and a garden with an apple orchard. Here, Quin fantasised a Mellors in every farm labourer, walked for miles along the coast, holidayed with her then – incongruous as the pairing may seem – lover Henry Williamson (author of Tarka the Otter), and spent time with the Burns reading Ezra Pound, making cut-up poems, talking. These trips were energising and inspiring: they were also not without tensions perhaps inevitable in an intense friendship between a young woman and a married couple. Quin often played the role of third to her married friends’ twos including the American poet Robert Sward and his wife Diane. 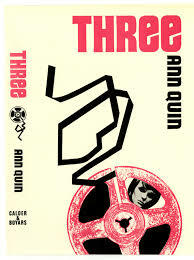 According to Sward the number three was absolutely central to Quin’s relationships, her fantasies, her writing. Scroll down for Nonnie’s earlier post on Quin, dated 13/09/15. On a hot August Bank holiday weekend in 1973, aged 37, the British Writer Ann Quin walked along the beach, took off her clothes and walked into the sea off the coast at Brighton. She then swam far out, with slow, deliberate strokes, and drowned. Was she seeing visions? Being called by the mystical voice of the ocean? Was she echoing one of her literary influences, Virginia Woolf? Did she commit suicide? Was it all a horrible accident? Who was Quin anyway, and why should we care about her life and want to read her writing? I think it was that first term of my ‘Studies in Fiction MA’ at the University of East Anglia, in September 2007, that I first came across Quin’s first book, Berg (1964). An experimental British writer from the sixties; a macabre, strange, funny, lyrical, vehemently experimental female British writer from the sixties. Berg is a bed-trick, schlock Brighton tale about, as its opening proclaims, ‘A man called Berg, who changed his name to Greb, [who] /came to a seaside town intending to kill his father. . . .’ As some of its reviewers and readers have noted, these first lines are designed to, and do, grab us, hook us in. And, in the narrative that follows, the protagonist, a man called Alistair Berg but posing as one named Greb, does indeed go to a seaside town supposedly intending to find and kill his father, Nathaniel. Of course – spoiler alert – he fails, and in fact in some weird way kind of becomes his father in the end. The plot and story are farcical and the prose style is slippery and strange, often bordering on the grotesque. I became obsessed with the treatment of domestic pets in the book – in increasingly bizarre scenes Berg kills his father’s budgie, Bertie, and father’s (and own) lover’s beloved cat, Seby. The seemingly domestic was a dark and nightmarish place in Berg, and I was fascinated. But when I tried to read up on Quin – What else had she written? What did other writers and critics think of her writing? – there was very little to be found, and so, sure there must be more to say, I decided to take on the project of researching her life and writing for myself. What I found was that Quin was an ordinary, working class woman who had worked as a secretary at Art Schools in London and embraced the ideas of the sixties counter-culture: she was an experimental writer, traveller, drinker, peyote taker, bisexual lover, good time girl; she had also slightly ‘missed the boat’ – coming from a single parent background and leaving school at 17, she hadn’t been to university and wasn’t quite young enough, middle-class or educated enough to enjoy the sixties to the full. She was also, as her obituary in The Times notes, plagued by ‘a fatal streak of melancholia in her preoccupations, which is present in all her work, and which was sadly prophetic of both the manner and the circumstances of her death’. She had her first breakdown at the age of 19, and despite the early promise of her writing – Berg was awarded fellowships that enabled her to live and write in America in 1964 – Quin’s later life and prose were plagued by increasingly desperate, erratic behaviour and bouts of severe mental ill-health. In 1971 Quin was found semi-naked and freezing in a snowdrift in Sweden. She had, she said, been fleeing red agents, plagued by the signs all around her. She was taken to a mental hospital in Stockholm, diagnosed with schizophrenia, forcibly sedated and given ECT. The treatment and sedation, she said, silenced her angels as well as her demons and she found she couldn’t write at all. Nonnie Williams Korteling: Between 2008 and 2012 I was researching and writing a PhD on Quin at UEA. The project, called 'Designing its own shadow' - Reading Ann Quin, ended up as a combination of critical readings of Quin's work and biographical vignettes. I now teach at UEA and am particularly interested in twentieth-century literature, women's experimental writing, life-writing, and the essay form. My current writing projects include reflections from the classroom, a life-writing project reflecting on the women who made me, and a book on British Avant Garde Fiction of the 1960s. Our annual prose competition launches today! 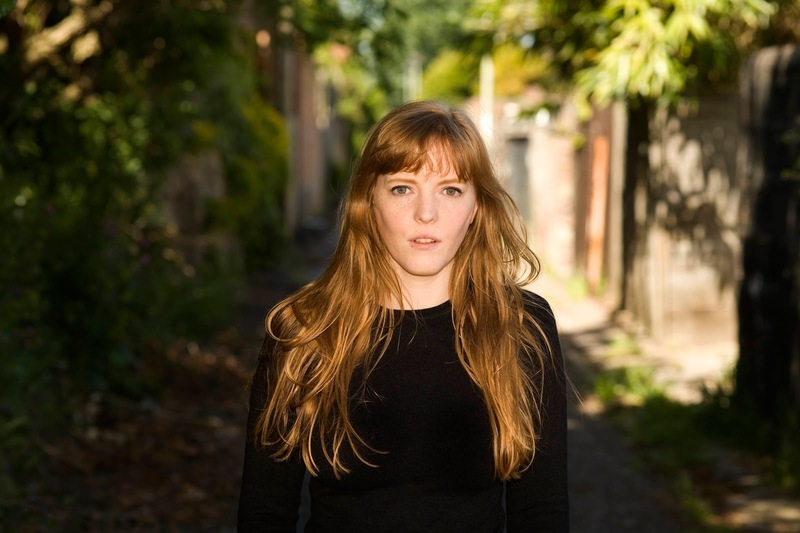 This is the third year it’s been running and this year we’re proud to announce that our guest judge is Emma Healey. It’s fantastic to have her on board because Emma is a critically acclaimed writer whose debut novel Elizabeth Is Missing won the Costa First Novel Award. 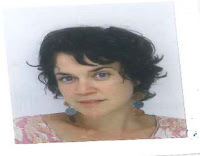 Also Emma is closely linked to the region as an alumna of the MA in Creative Writing at the University of East Anglia. ‘It is always wonderful to find a writer has described a sensation never put into words before, come up with a perfect metaphor for something, or created a stunningly vivid image in the mind of a reader. It's also exciting to find the mundane transformed into the extraordinary or the extraordinary made to feel familiar. 'I'd love to read pieces which say something about our time, or our location, stories which are striving for some kind of meaning, even if they are only asking questions for the reader to try and answer. 'I'd like to find emotional honesty in the pieces, and writing which is full of bravery rather than swagger, by authors who aren't afraid of exploring the feelings of their characters, or of letting the reader get close to the emotion of the writer. 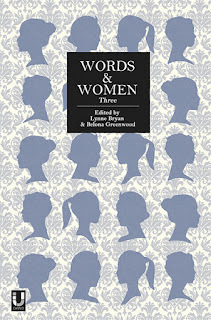 The competition offers a cash prize of £600 and publication in Words and Women: Three. 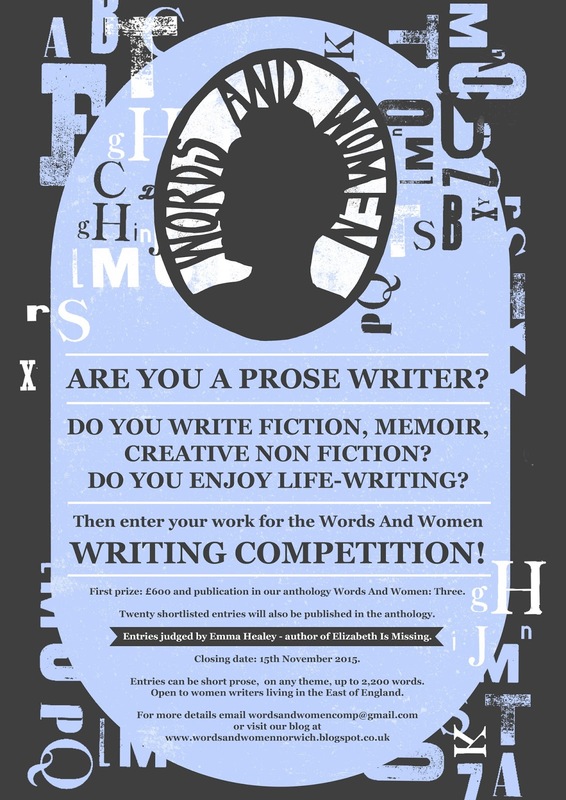 Entry is open to all women writers over the age of 16 who live or work in the East of England. Short works of fiction, memoir, life-writing and creative non-fiction are all welcome. 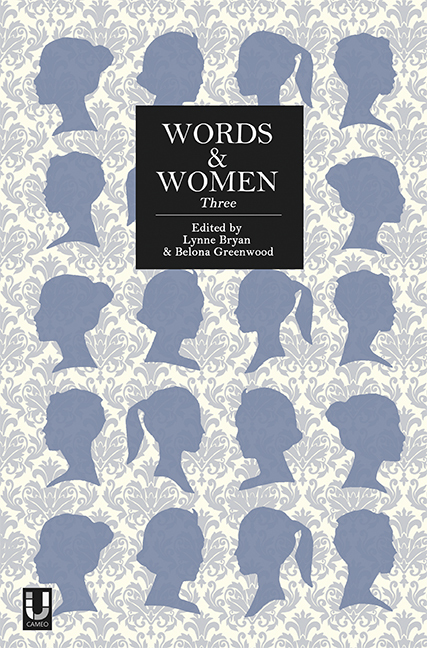 The anthology, published in partnership with Unthank Books, will be launched on International Women’s Day, 8th March, 2016, Words And Women’s fifth anniversary. 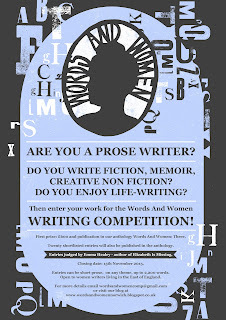 Entries should be 2,200 words or under. Extracts from longer works will not be considered. It costs £10 per submission, and the deadline for entries is 15th November 2015. Winners will be announced in January 2016. In the blog post below Lora Stimson, last year’s winner, describes what winning the competition has done for her.